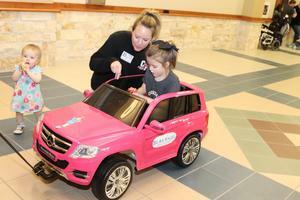 The Be An Angel organization continued its passion for helping children with special needs when Creekside Forest Elementary kindergarten student Dayton Shirley was surprised at school with a motorized pink car. As part of the adaptive car program, this car will assist Dayton’s day-to-day activities at CFES through a switch-activation process. 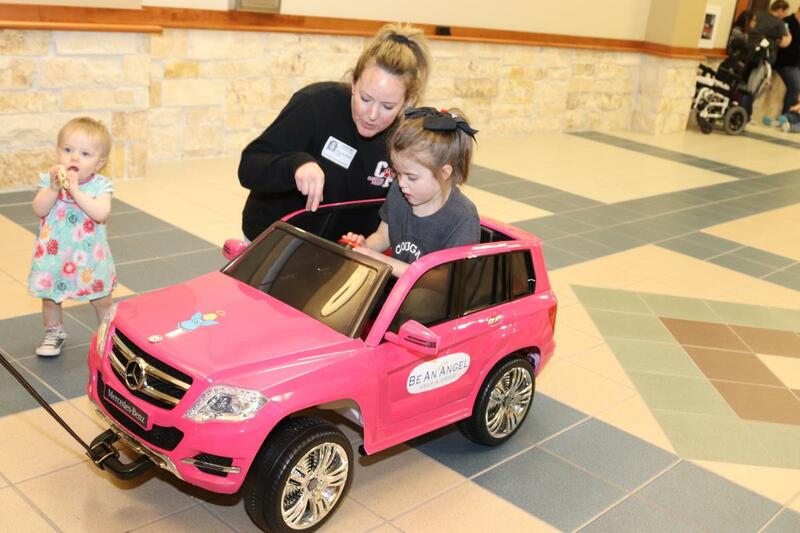 She will use her switch-activation skills to activate this car on the playground, in the motor lab, or in other school environments so she can be a part of an activity alongside her peers. Despite having Rett Syndrome, a unique neurological disorder, primarily affecting girls, which affects cognitive, communication, sensory, emotional, motor and autonomic function, Dayton’s charisma has shined through and she loves to be around her classmates and peers. Her kindergarten peers, CFES Administration and her family helped celebrate her Be An Angel Gift.